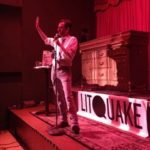 Thanks to everyone who came out to the night of Mark Twain trivia on Monday at the Make-Out Room, sponsored by Litquake and UC Press! 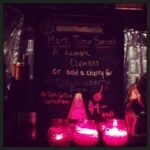 We sipped Lemon Clemens and Drunkleberry Finns while comic Joe Tobin quizzed us on the differences between Mark Twain and Shania Twain (harder than you might think) and the names of Samuel Clemens’ 30 cats, among other things. 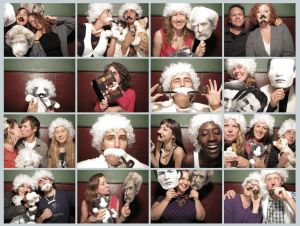 Below, check out these awesome Mark Twain-inspired pics from our photo booth at the event. What do you think—can we turn Twaining into a meme? Tweet your photos using the hashtag #MoreTwain and check out the full collection at PhotoBoof. 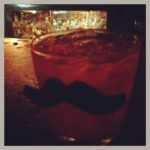 If you missed your chance to win on Monday, you might not walk away empty handed. Over at Goodreads, we’re hosting a giveaway for the Reader’s Edition of the Autobiography of Mark Twain, Volume 1. We’re giving away three copies of the paperback, and the contest runs through November 1. Good luck!